Teriyaki is a Japanese cooking style of grilling or broiling and in Japan this involves fish - in the West it's usually chicken, pork or beef. 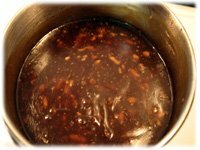 A true teriyaki sauce recipe is made by heating soy sauce, Mirin and sugar or honey and then reducing it to a thicker consistency. This recipe includes garlic and ginger (but not the Mirin or sake) which isn't common in Japanese versions, but it's still fantastic on grilled teriyaki chicken wings as well as this new barbeque pork ribs recipe. The sugar in this teriyaki gives the food a really nice shine and is best brushed on while cooking. With sugar in the recipe watch for flare-ups and keep the food moving around the grill. 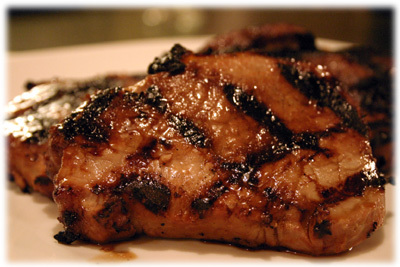 If you're into Teriyaki then check out this teriyaki marinade recipe. 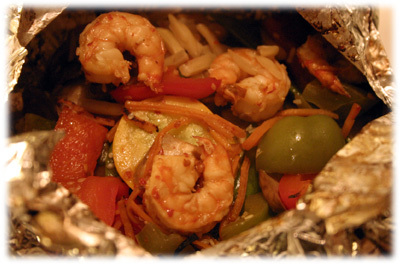 In a medium sauce pan combine all the ingredients and bring the mixture to a gentle boil. Reduce the heat and simmer on medium-low for 5 minutes. 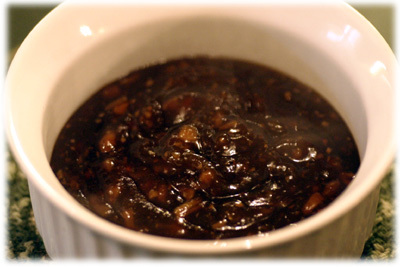 If you want the sauce a little thicker, combine 1 tablespoon cornstarch with 1/4 cup hot water and slowly stir into the teriyaki sauce until it reaches the thickness you like. Sometimes a takes a few seconds to get noticeably thicker, take your time. Cover and set aside or refrigerate until ready to use.